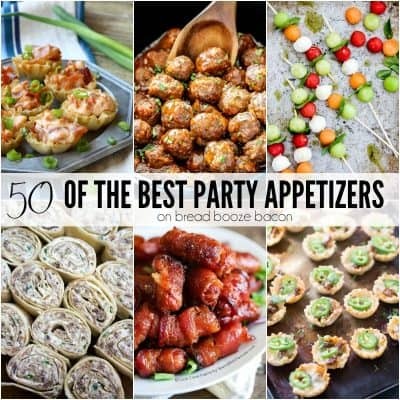 This is a sponsored post written by me on behalf of Sara Lee® Artesano™ Golden Wheat Bread. All opinions are my own. Get ready to love your Thanksgiving leftovers all over again! 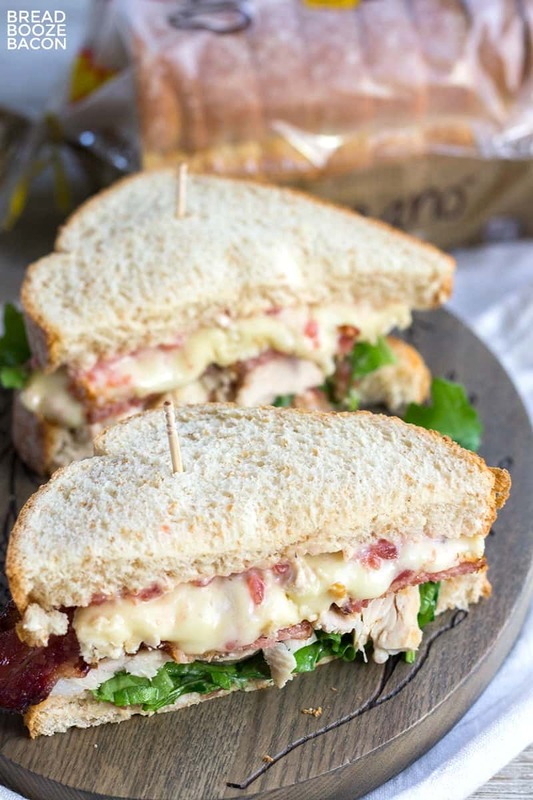 This Cranberry, Brie & Bacon Turkey Sandwich is a delicious combination of tangy, meaty goodness you’ll want to eat all year long! I don’t know about you, but I love Thanksgiving leftovers! So much so that I found a local sandwich shop that makes a sub with stuffing, turkey, and cranberry sauce so I can get my fix anytime I want. While it’s delicious, I’ve started toying around with my own version. It’s not as carb-loaded as some Thanksgiving leftover sandwiches, but boy is this Cranberry, Brie & Bacon Turkey Sandwich delicious! The start of any great sandwich is awesome bread. I think we’re all pretty clear on my bread obsession by now. Normally I gravitate towards bakery bread, but I finally found a loaf in the bread aisle that’s worth raving about. When I found Sara Lee® Artesano™ Golden Wheat Bread that was it. I swore off all other store-bought bread. I’m totally that person that will grab a slice of bread to munch on, but most store-bought bread has this weird aftertaste. Sara Lee® Artesano™ Golden Wheat Bread has none of that. It’s fluffy, delicious, and is sliced nice and thick. Made with olive oil, sea salt and a touch of honey and no high fructose corn syrup, added colors, or flavors, I knew this bread would be the perfect base for my Thanksgiving turkey sandwich. I’m usually a wham, bam, put a sandwich in my hand girl, and cold sandwiches are my go to for lunch. But if you’re into crispy buttery bread grilled in a skillet, melty cheese, and warmed up comfort food, you’re in luck! 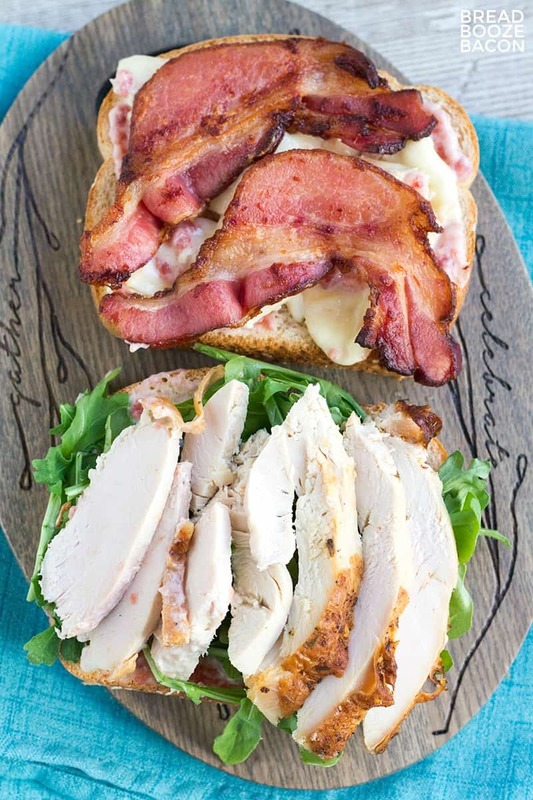 This Cranberry, Brie & Bacon Turkey Sandwich is great hot or cold. I find myself making it a couple times a month to get that flavor fix. 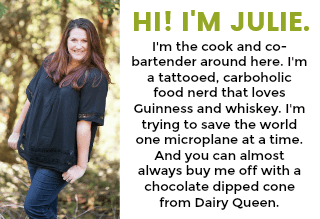 While I still hit my favorite sandwich shop occasionally, this sandwich has my heart (and my stomach) and I hope you love it just as much as I do! What are you cooking up this fall? 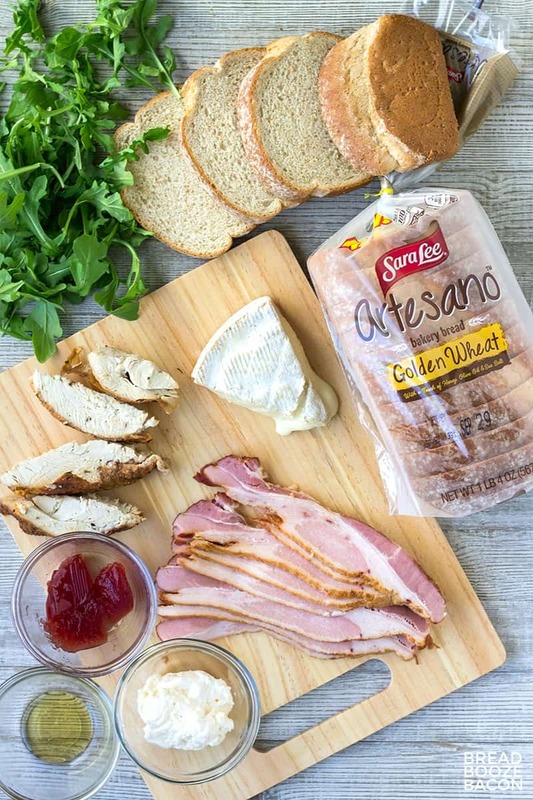 Share your favorite sandwich and grilled cheese recipes with Sara Lee® Artesano™ Golden Wheat Bread using #ArtesanoGoldenWheat! Get ready to love your Thanksgiving leftovers all over again! 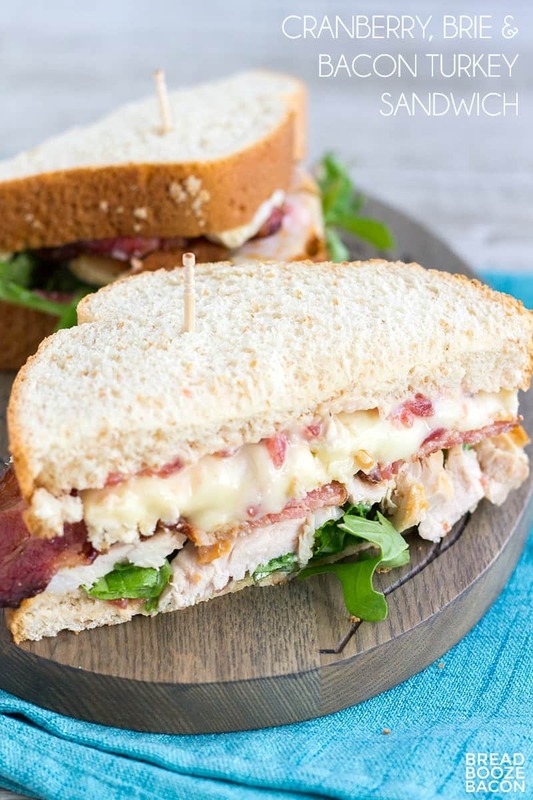 This Cranberry, Brie & Bacon Turkey Sandwich is a delicious combination of tangy, meaty goodness you'll want to eat all year long! Inspired by the Gooey Gobbler from Sara Lee. In a small bowl, stir together the mayonnaise, cranberry sauce, and honey until well combined. There may be some cranberry chunks, that's okay. Spread one-quarter of the cranberry mayo over one side of each piece of bread, and lay the bread mayo side up on a cutting board. 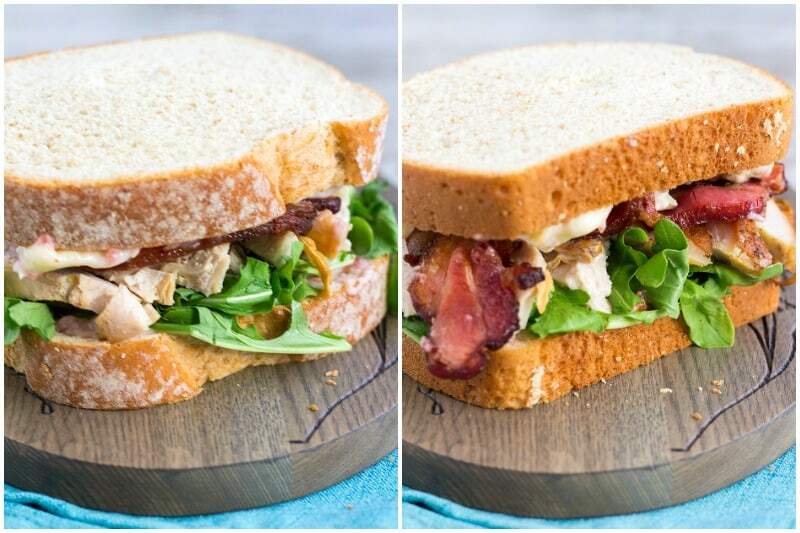 Top two of the pieces of bread with arugula, turkey slices, bacon, and brie. Top each sandwich with the other slice of bread, mayo side down. Serve immediately. 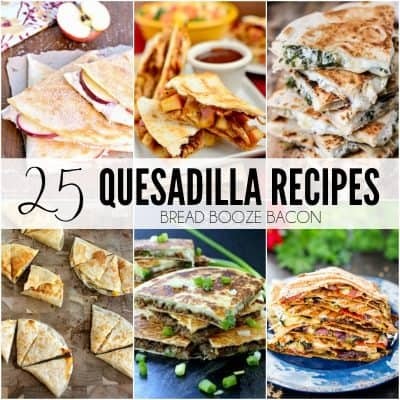 For a grilled Cranberry, Brie & Bacon Turkey Sandwich heat a large skillet over medium heat. Assemble the sandwich as above and then spread 1 tablespoon butter on the top of the sandwich. Flip the sandwich over and place in the hot skillet butter side down. Spread butter over the top of the bread now facing up. Grill for 3-4 minutes per side or until golden brown. Serve immediately. You could also use the bacon fat leftover from cooking the bacon instead of butter to cook the grilled cheese.